Welcome! We love when large groups visit Seton Shrine - tour groups, school, church and bus groups all are welcome. We have plenty of free on-site bus and automobile parking. There are two outdoor picnic areas, and we are accessible to physically challenged people. Meeting rooms with a/v equipment and on-site catering are available upon request. We are happy to coordinate use of the Basilica for Mass and private devotions for your group's visit. Description Bring Your group! 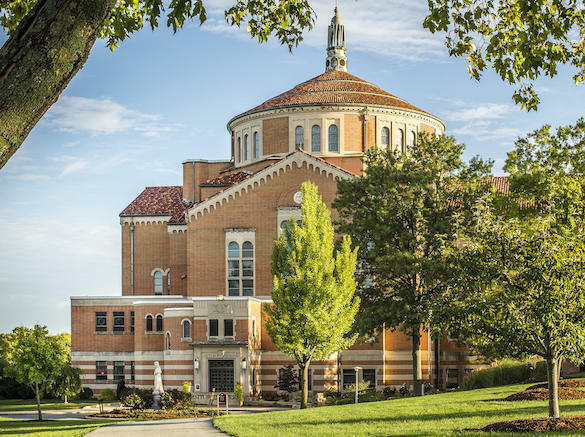 We love when large groups visit Seton Shrine - tour groups, school, church and bus groups all are welcome. We have plenty of free on-site bus and automobile parking. There are two outdoor picnic areas. We are accessible to physically challenged people. Meeting rooms with a/v equipment are available upon request. On-site catering is available upon request. Use of the Basilica for Mass and private devotions can be coordinated.